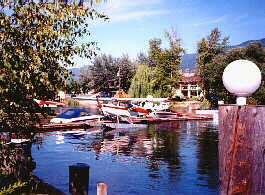 North of Kelowna, British Columbia, Highway 97 takes you along the west side of the scenic Kalamalka Lake. A number of friendly communities along the way introduce the visitor to the variety of recreational activities and attractions available in the Okanagan. 22 km (14 mi.) 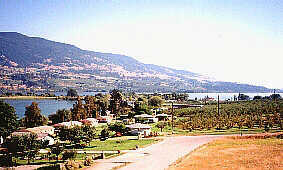 north of Kelowna brings you to the small BC community of Winfield. Famous for its wineries, there are a variety of tours that the visitor can take advantage of. Close to golfing, fishing and skiing and beaches the community has much to offer those who like the activities and conveniences of a small place but still wish to be close to a large centre. More info on Winfield . . .
More info on Oyama . . .